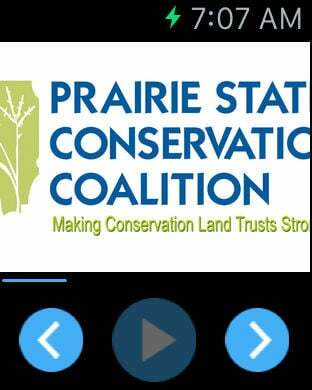 Prairie State Conservation Coalition is a non-profit organization created to assist conservation land trusts, land owners, and communities in their efforts to protect land and water resources in Illinois. This Hike App was created with the support of PSCC, the Donnelley Foundation, and the Grand Victoria Foundation to further enhance public awareness and foster community interactions with Illinois natural areas and open lands. With this App, land trust organizations in Illinois now have an outlet to provide interactive tours of their project sites. These tours are guided by GPS and conveniently available on your mobile devices. The Hike App leads you through an interpretive hike in a natural area of your choosing all across the state of Illinois!